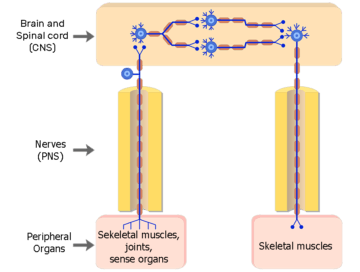 The peripheral nervous system (PNS) is made up of nerves, and inside the nerves are neurons (nerve cells) that conduct action potentials between the CNS and peripheral organs. 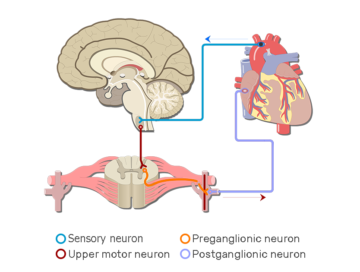 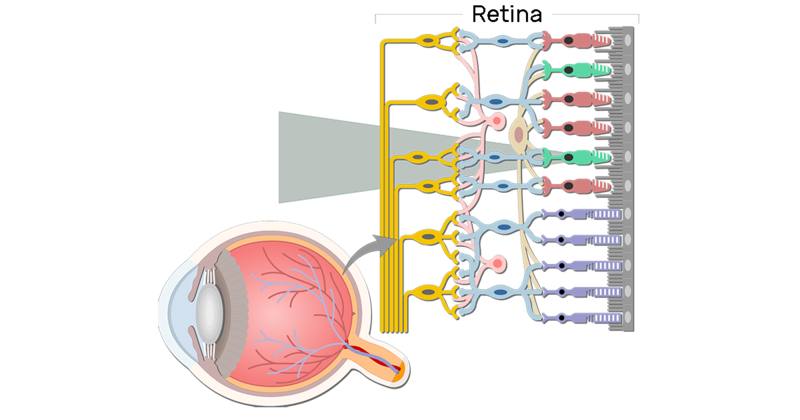 Based on the direction in which they conduct action potentials, neurons split the PNS into sensory (afferent) and (efferent) divisions. 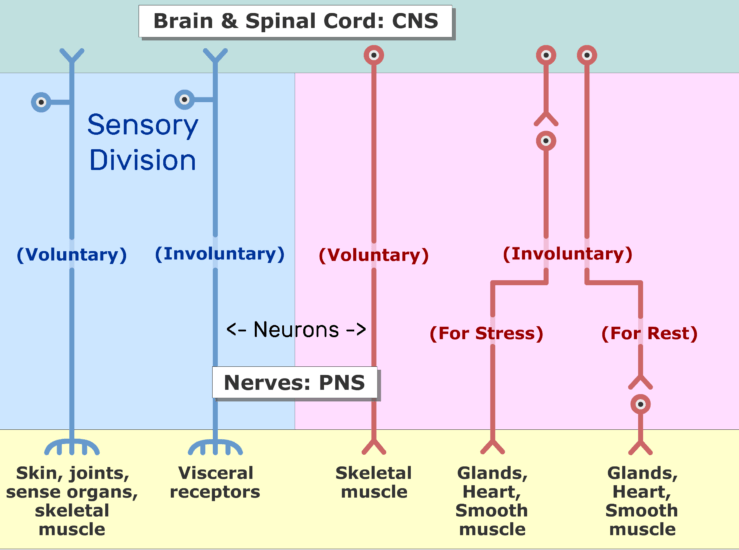 Sensory division neurons conduct action potentials toward the CNS. Motor division neurons conduct action potentials away from the CNS. 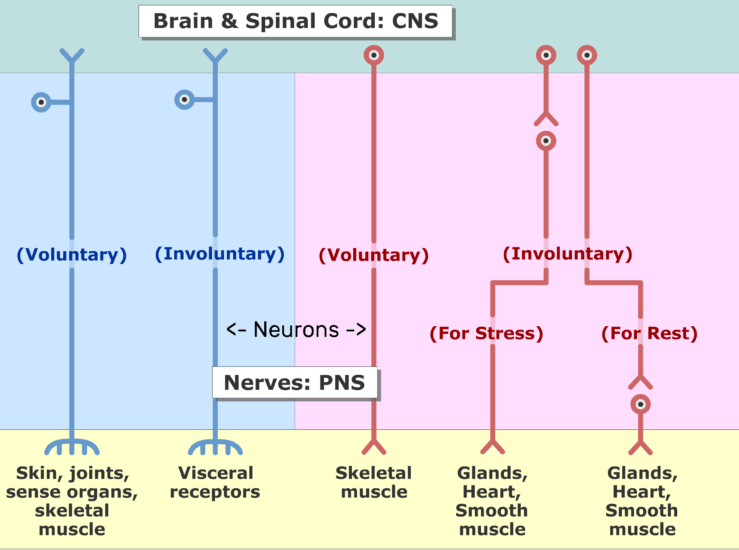 Both divisions have branches that allow the CNS to voluntarily (consciously) or involuntarily (subconsciously) monitor and control the certain tissues and organs. 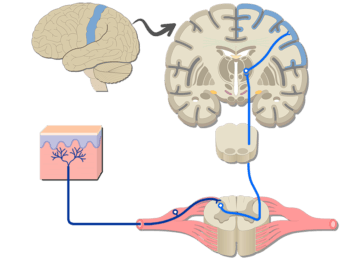 Sample Somatic Nervous System Pathways; explained beautifully in an illustrated and interactive way.